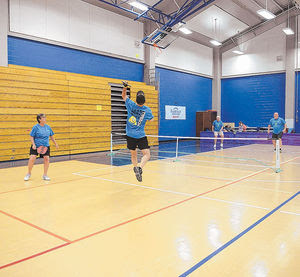 The City of Jacksonville’s 7th annual Pickleball Tournament drummed up some excitement over the weekend hosting more than 100 players from eight states and Canada. Matches were held at the Jacksonville Commons Recreation Center between Friday and Sunday. Players competed in doubles teams. Local medalists were Brenda Dail (gold in Women’s 60s and bronze in Mixed 60s), Glen Davis (bronze in Mixed 60s), Rick Laskey (bronze in Men’s 70s) and Mary Powell (gold in Women’s 60s).